Compassion is a feeling of shared suffering for another form of life with the desire to alleviate that suffering. Compassion is often observed as a type of selfless service, generosity, or kindness. As we practice compassion our hearts open and we experience oneness with all. The most elevated emotion radiated by the heart is compassion, and it benefits our health in addition to helping us develop spiritually. Compassionate individuals are those of us that have experienced our share of suffering, and feel empathy for others who are facing similar challenges. We realize that just like us, others are also seeking happiness and trying to avoid pain. From the physical and mental perspective, practicing compassion or kindness increases the production of serotonin in the brain, which results in calming the nerves as well as reducing anxiety and depression. In addition, regular acts of kindness have proven to reduce levels of stress, pain, and insomnia. Compassion and kindness are also contagious. Studies have shown that practicing kindness not only benefits the receiver, but also the giver. 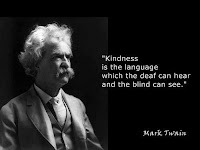 However, it does not end here, even the person observing the act of kindness receives the physical and mental benefits. Based on the spiritual perspective, there are four levels of consciousness on this planet – minerals, plants, animals, and human beings. Simply because we are the highest level of consciousness, it does not give us the right to abuse the lower levels. On the contrary, it is our responsibility to preserve the lower forms; true power is used to create, not to destroy. Consider the damage we have caused on this planet. The earth is the mother of all forms of life and feels the distress whenever pain is caused to her. The earth feels the pain when trees are uprooted, oceans are poisoned, the air is polluted, and when animals and human beings are harmed. Due to our lack of awareness and by refusing to accept the inconvenient truth, we cause a tremendous amount of damage to the earth. We fail to realize that the animals we harm so innocently feel as much pain as we do. Shooting a cow in the head, chopping off a chickens beak, fishing, or even spraying perfume into a rabbits eye is something we would never even imagine doing to our pets. But, simply because we have no connection with these forms of life, and these atrocities are done by someone else, we do not feel the pain. Even if we are not part of these horrific acts, the fact that we are buying these “products”, we are encouraging it. Dada J.P. Vaswani, a world renowned spiritual teacher was once asked, “How can we stop acts of terrorism?” His response was that WE should first stop being terrorists. He added that a terrorist is defined as a person who causes damage, pain, and suffering to innocent lives. Isn’t this what we are doing to the planet and the animals? As far as the animals are concerned, we are terrorists. We invade their space, hold them hostage, separate them from their children, and then kill them, simply for the pleasure of our tongues. When we cannot show compassion to other forms of life, why is it that we expect it from others? When we collectively express compassion, the vibration of the beings on the planet will be raised and we will experience more love, caring, and unity. If we encounter a severe illness, accident, or other problems in our lives when all our scientific discoveries, finances, and relationships cannot help us, it is at this time that the compassion we have shown to the other forms of life returns to us in the form of grace. Grace is an extremely intelligent energy and will be showered upon us at the right time in the most creative way imaginable. Whether we choose to practice compassion for the physical, mental, or spiritual benefits; ultimately, the result will be an increased feeling of joy, oneness, immunity, and self-worth. Compassion has become such a scarcity, that we are surprised when someone performs an act of kindness. Let us take the responsibility to transform our lives and renew humanity through compassion; and remember, the universe and the angels celebrate with joy whenever we are compassionate towards another form of life.